The son of a jockey, Belgian-born Gregory Benoist followed in the family footsteps and started life in the saddle as an apprentice to Jean-Marc Cappite in south-eastern France. He enjoyed a first Group success in November, 2009, at Maisons-Laffitte as Lixirova, owned by silver screen legend Omar Sharif, won the Prix Miesque. 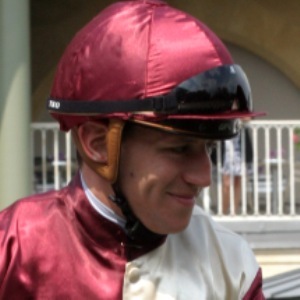 Benoist was appointed second jockey to owner Gerard Augustin-Normand in 2011 and enjoyed an excellent first ride in a British Classic at Newmarket in May 2012 when coming home third on Hermival in the QIPCO 2000 Guineas. He rode his first Group 1 winner in 2013 when partnering Ectot to win the Criterium International at Saint-Cloud for trainer Ellie Lelouche. In 2016 he enjoyed QIPCO British champions Series glory aboard Qemah in the Coronation Stakes at Royal Ascot.